There’s nothing like cracking open a fresh jar of a classic Durban Poison or Super Silver Haze. As the unmistakable aroma of sweet, citrusy pine wafts up through the air “Oos” and “Ahs” often fill the room as well. 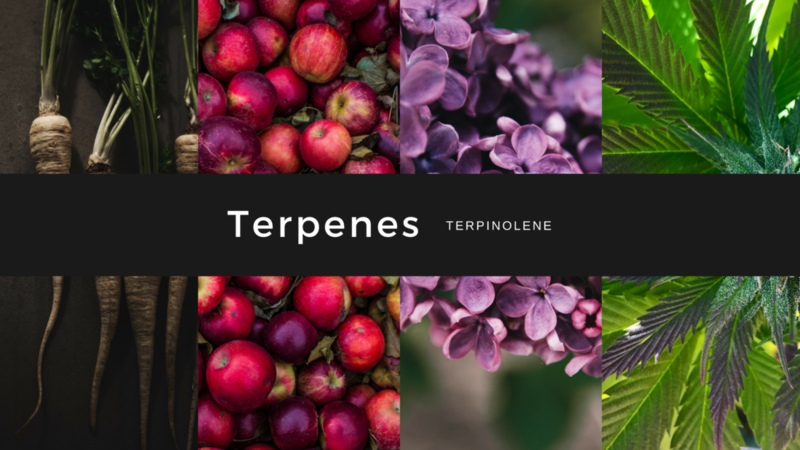 Terpinolene is the terpene predominantly responsible for these reactions. Those who have never come across this potent aromatic compound so common to cannabis are immediately drawn in, while noses in the know quickly set expectations of the effects they’re likely to experience upon exhale. Funny they should say that. Terpinolene is, in fact, one of the major constituents of parsnip oil (40-70%). Less surprisingly, perhaps, it is also found in the olfactory delights of sage, lilacs, cypress, apples, and tea tree oil, many of which have shown their own therapeutic value, in part, because of the aromatics, like Terpinolene, that they produce. 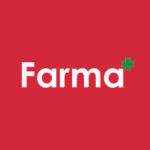 What’s in your medicine cabinet – Aspirin? Ibuprofen? Naproxen? Those NSAIDs are the pharmacological go-to for treatment of inflammatory pain. But, while they can be extremely effective, side effects are common – namely gastrointestinal lesions. According to a 2016 study, however, non-steroidal anti-inflammatory drugs prove to be more effective at lower doses and without risk of gastric injury when dosed in tandem with terpinolene. In fact, it improved previous GI injury as well, demonstrating promise for IBD symptoms. Other citral monoterpenes, like limonene, have shown similar therapeutic promise. This synergistic effect looks to mediated by the serotonin receptor 5-HT2A, which also engages with cannabinoids. Conceivably, a terpinolene-rich, CBDA/CBD-dominant flower or product could produce similar inflammatory pain relief without the negative health effects common to NSAID use – treating arthritis, endometriosis, or acute migraines for example. Time will tell. Interestingly, many hallucinogenic drugs also exert their psychoactive effects by acting as agonists for 5-HT2A receptors, specifically in terms of hallucinations and spatial cognition. No wonder 7 Points terpinolene-dominant Voyager #1 was last year’s Cultivation Classic winner. It was named well. While Terpinolene has been shown to be rather sedative in isolation from other cannabis compounds when tested on smaller species, it is almost exclusively associated with cannabis chemovars (strains) known for more cerebrally, even physically, stimulating effects in humans – think Dutches and Hazes, for example. One study from Bonesi et al in 2010, suggests that the often physically and mentally energizing effects of terpinolene-rich chemovars are possibly attributable to cholinesterase inhibition in the presence of THC. This is of particular interest in the treatment of Alzheimer’s and dementia – an example of cannabinoids and terpenes working in tandem to modulate both therapeutic properties and perceived experiential responses in what is known as the Entourage Effect. This interaction may also help explain the often cerebrally focused nature of a terpinolene-dominant high. Terms like productivity, creativity, lucidity, and mood elevation often come to mind when describing a Terpinolene-rich experience. But, these cultivations are capable of producing a range of experiences. From a neat and tidy, focused head high to a hazy, cerebral buzz that extends into the body, it all depends on the other compounds present. Understanding how cannabinoids and terpenes play together can also help predict less desirable effects, like an anxious response. Already more likely to produce stimulating energy for most folks, Terpinolene-rich cannabis in conjunction with a higher THC percentage or in the absence of an adequate ratio of balancing terpenes, can be uncomfortably active, even anxious. That likelihood is, of course, dependent on tolerance-appropriate dosing and body chemistry. The right atmosphere can help mediate a comfortable experience as well. A Terpinolene-dominant cultivation might not be the best choice for chilling on the couch, but you might just get those creative juices flowing or be inspired to frolic in the great outdoors on a sunny day. Whatever energy you receive, use it, and you may discover just how transformative these bright and buzzy experiences can be under the right conditions and at the right dose. Luckily, that fresh fragrance of terpinolene is often easy to pick out. Once you’ve created that scent memory, you’ll have an easier time spotting stimulating strains even in the absence of a recognizable lineage or name. And, as growers continue to pull further away from classic chemovars – experimenting with all sorts of new genetic combos and creating all sorts of wonky, proprietary names in the process – it’s important to be able to pick apart scent profiles that are more likely to fit your personal preferences and body chemistry. Next time you’re in the shop, we’ll be happy to let you sniff through a few and start laying out that memory map. Bonesi et al, “Acetylcholinesterase and butyrylcholinesterase inhibitory activity of Pinus species essential oils and their constituents” Journal of Enzyme Inhibition and Medicinal Chemistry 25, 5 (2010): 622-628. Fischedick, J.T., Hazekamp, A., Erkelens, T., Choi, Y.H. and Verpoorte, R. “Metabolic fingerprinting of Cannabis sativa L., cannabinoids and terpenoids for chemotaxonomic and drug standardization purposes” Phytochemistry 71 (2010):2058-2073. Macedo, E M A et al. “Association of terpinolene and diclofenac presents antinociceptive and anti-inflammatory synergistic effects in a model of chronic inflammation” Brazilian journal of medical and biological research = Revista brasileira de pesquisas medicas e biologicas vol. 49,7 (2016): e5103. Russo, Ethan “Taming THC: potential cannabis synergy and phytocannabinoid-terpenoid entourage effects” British journal of pharmacology 163,7 (2011): 1344-64. Russo and Marcu, “Cannabis Pharmacology: the usual suspects and a few promising leads”Adv Pharmacol. 2017;80:67-134.